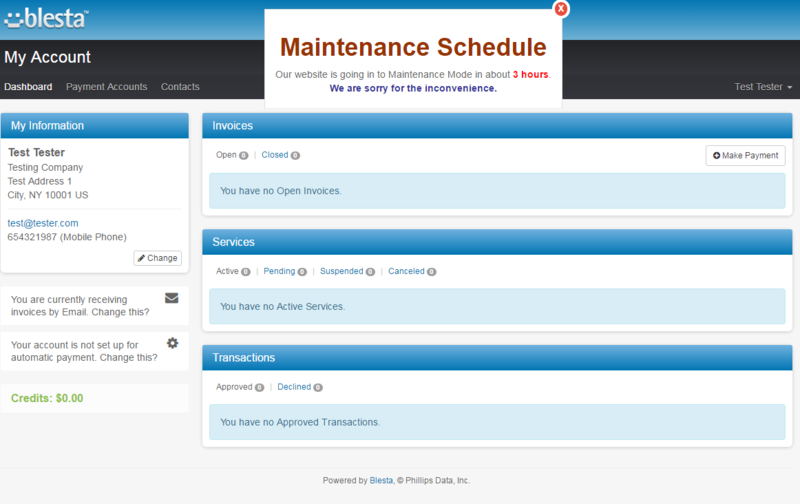 Upon purchase you receive a yearly access to updated versions of the extension and technical support services. Each additional year of the access costs $29.95. This fee is not mandatory and entirely voluntary. The payment can be made at any time, which will automatically extend the access for the next 365 days. 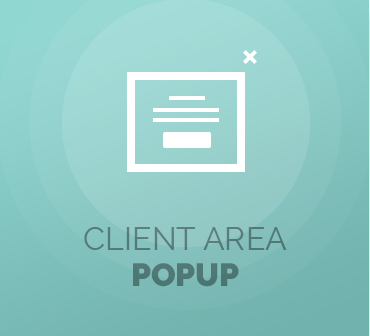 Client Area Popup For Blesta is a simple yet highly powerful extension designed to bolster up your Blesta client area with fully adjustable pop-ups available in three different formats: an image, a raw text or HTML. The product offers a wide choice of components that you are welcome to benefit from in order to tailor each announcement finely to its recipients. You will be given the ability to form groups of target customers, define time frames of message visibility as well as select exact pages of your client area where the pop-up window should show up. No less attractive is the freedom to customize the appearance of notifications using in-built styles or even through designing own ones. Your customers, at the same time, will be permitted to close each pop-up once seen or in case the message holds no interest to them. Last but not least, the number of pop-up displays can be easily monitored which will certainly prove valuable for any statistical and comparison purposes. In the age of information, the more efficiently you can relay to your audience the better. Order Client Area Popup For Blesta to boost the quality, consistency, frequency, accuracy and appeal of any important news that you bring to your customers! 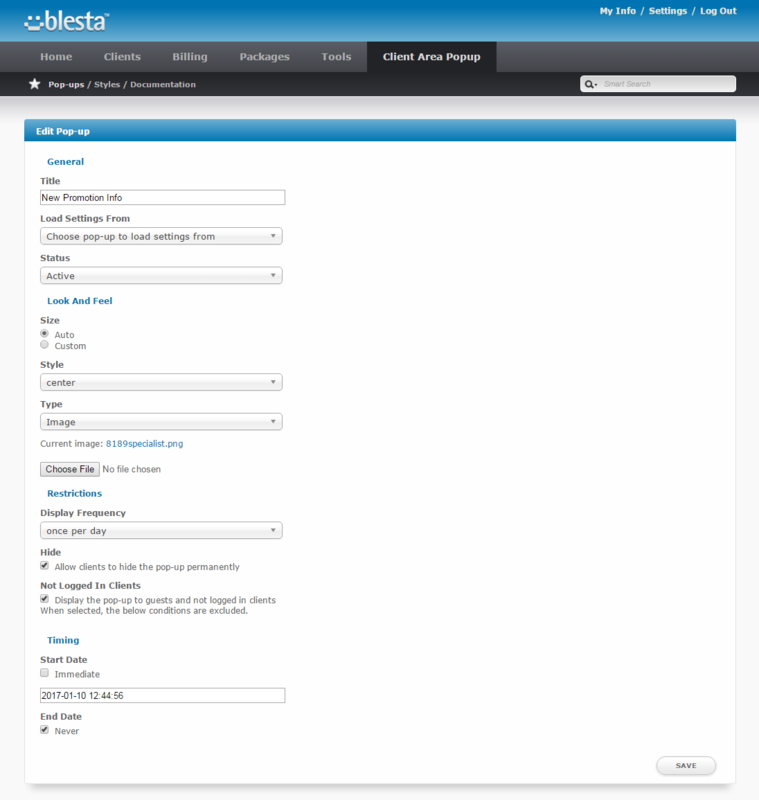 Provision a diverse array of GoDaddy TLDs and gTLDs using an automated mechanism in Blesta, take all crucial actions on domains and offer handling tools in your client area.